With the DirecTV Satellite Dish Alignment Tool, locking on to your satellite signal is now a one person operation. The DirecTV Satellite Alignment Tool will align your satellite dish whether you use Dish Network, Direct TV, or any other type of satellite tv. Did you know DirecTV, Dish Network, and other satellite providers will charge you over $100 to come out and re-align your satellite dish? 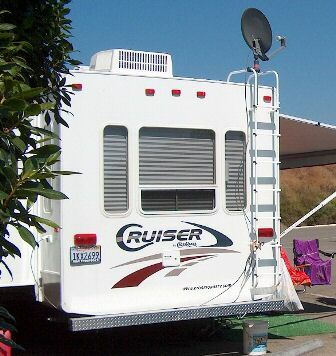 Our DirecTV Satellite Dish Alignment Tool will save you tons of money in the long run, especially if you move or use a satellite dish for your RV camper. DirectTV Satellite Dish Alignment Tool displays signal strength, according to dish position, with an easy-to-read analog needle, allowing you to make necessary adjustments without having to yell back and forth from the window. 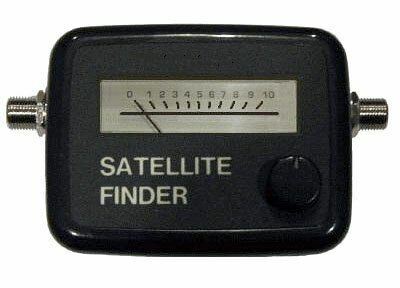 The DirecTV Satellite Dish Alignment Tool quickly installs between the satellite dish and receiver. DirecTV Satellite Signal Dish Alignment Tool is powered by satellite receiver, so there�s no additional power connection. Adjust your DirecTV Satellite Dish Yourself Fast and Easy! DirecTV and Dish Network will Charge $100 for alignment! 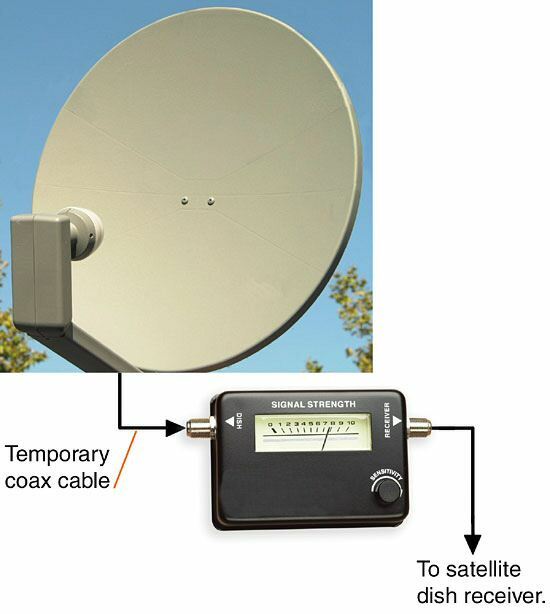 The DirecTV Satellite Dish Alignment Tool lets you easily tune your satellite dish and determine the direction of the strongest satellite signal. Great for remote satellite antennas. 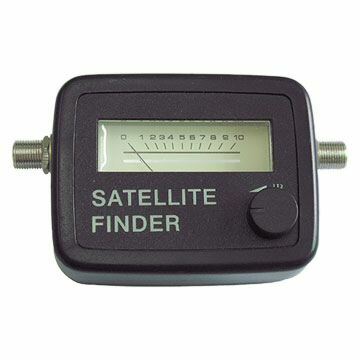 The DirecTV Satellite Alignment Finder is the most useful tool in Satellite TV installation includes Direct TV, Dish Network, Bell ExpressVu, FTA and Satellite Internet systems. Designed with SMT technology, its superior sensitivity is capable to indicate signal from 0.2dB to 2300MHz. It is operated by LNB power. A built-in buzzer sounds higher pitch when dish gains higher signal. The Satellite Alignment Finder is complied with EMC directive and CE qualified. Nice low price Do It Yourself satellite alignment tool.